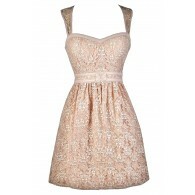 This dress is romantic and pretty with an unexpected twist--the unique leatherette buckle shoulder straps. The Leatherette Buckle Strap Eyelet Dress is fully lined and made of an awesome fabric with eyelet cutout details throughout. It has a crossover surplice neckline, empire waist, and an A-line cut. A hidden side zipper completes this dress. 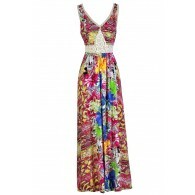 This is a perfect Spring/Summer sundress that looks cute paired with wedges or pumps. 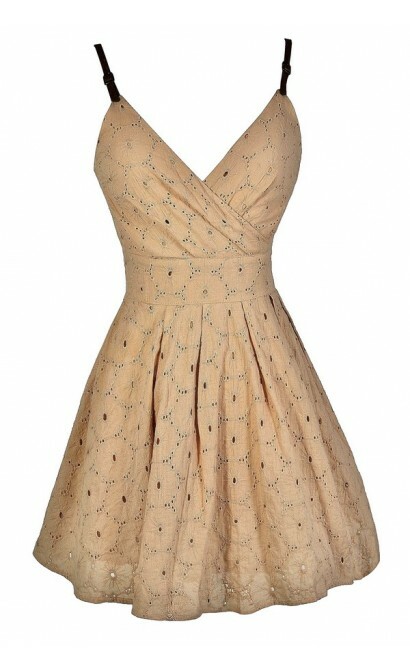 Or try pairing this dress with brown cowboy boots to match the leatherette straps for a cute country look. Details: Fully lined. Hidden side zipper. Faux leather straps. 100% cotton. Lining: 100% cotton. Hand wash cold water. Do not bleach. Line dry. Iron low. Do not dry clean. Small measurements: Length from top of shoulder to hemline: 33". Bust: 32". 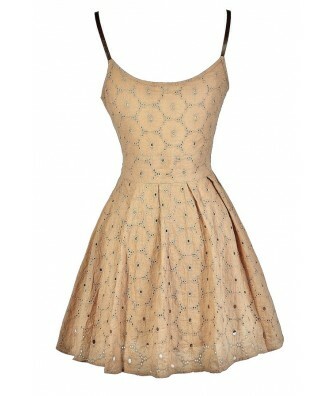 You have added Leatherette Buckle Strap Eyelet Dress in Mocha into Wishlist. 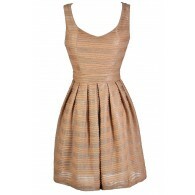 You have added Leatherette Buckle Strap Eyelet Dress in Mocha for Stock Notification. 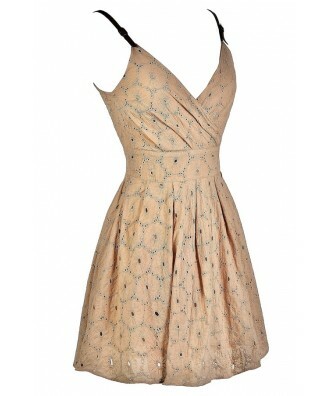 You have set Leatherette Buckle Strap Eyelet Dress in Mocha as a loved product. 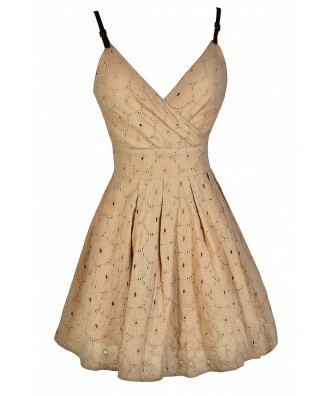 You have removed Leatherette Buckle Strap Eyelet Dress in Mocha as a loved product.